Portrait of Mary Lou Williams, New York, N.Y., c. 1946. Photo by William P. Gottlieb, courtesy of the Library of Congress. As an American jazz hub during the 1930s, Pittsburgh propelled one musician to break jazz’s all-male barrier and become one of the most innovative artists of all time. 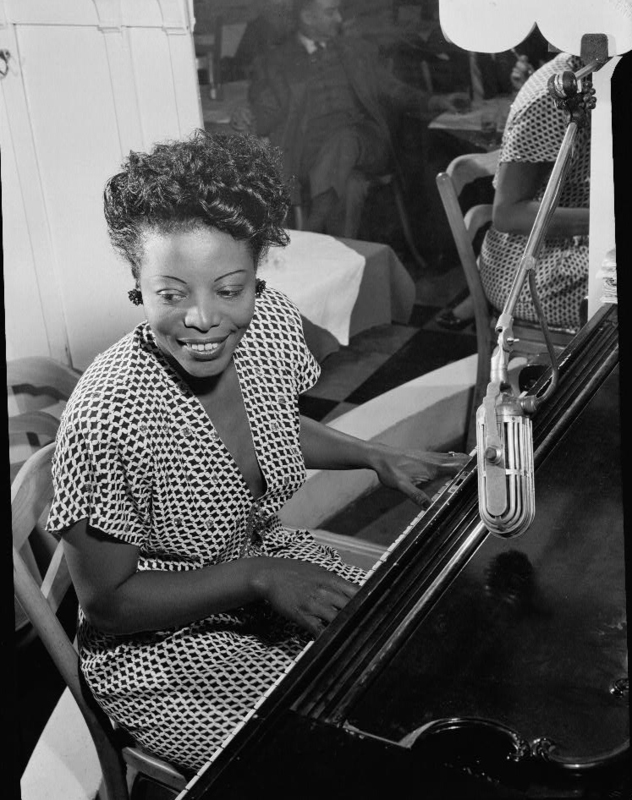 Raised in Pittsburgh’s East Liberty neighborhood, Mary Lou Williams taught herself to play the piano at a young age and helped to support her large family by playing at local events. By age seven, she began to perform publicly and became a professional musician in her teens. Popular in Pittsburgh’s club scene, Williams played piano with some of the nation’s most notable bands as they passed through the city. She played alongside jazz legend Andy Kirk and joined the “Twelve Clouds of Joy” band, which enjoyed great success thanks to her musical arrangements. Williams also arranged music for other legendary artists including Duke Ellington, Earl “Fatha” Hines, Benny Goodman, and Tommy Dorsey, and evolved into one of the most sought-after composers of the Swing Era. In 1942, she formed a band in New York City, where her modernized style influenced young artists of the bebop revolution and brought new audiences to the jazz world. Williams continued leading groups, composing and recording – including “The History of Jazz,” a solo performance based on her years in the jazz industry. Late in her career, she was appointed as an artist-in-residence at Duke University from 1977 through 1981, teaching her “History of Jazz” performance and directing the Duke Jazz Ensemble. Williams passed away from bladder cancer in 1981, but left behind a legacy that continues to influence the music world today. Visit the Pittsburgh: A Tradition of Innovation exhibition at the History Center to see Williams’ piano and learn more about Western Pennsylvania jazz legends as part of the Crawford Grill. 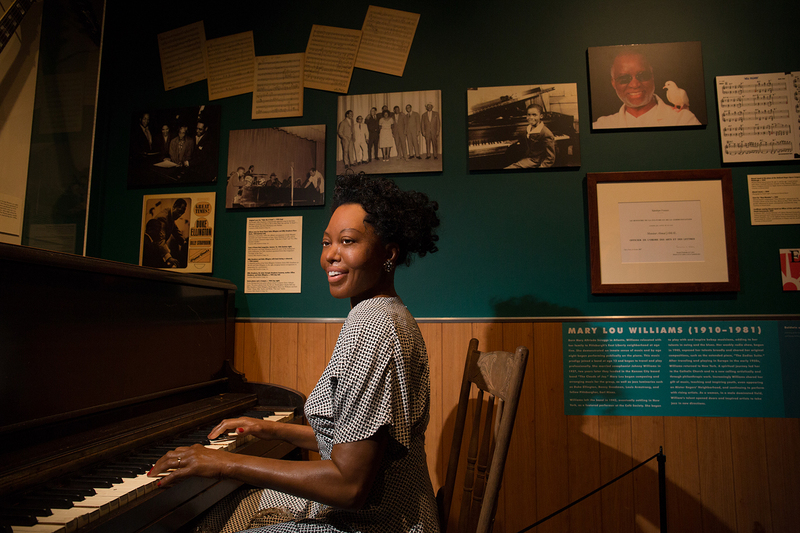 Mary Lou Williams’ piano and a life-like museum figure of Williams inside the Crawford Grill section of the Pittsburgh: A Tradition of Innovation exhibit. Photo by Annie O’Neill.